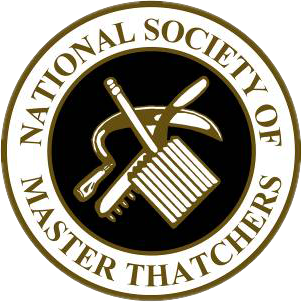 If you are looking for moss removal on your thatched roof in Nottingham, Heart of England Master Thatchers can help! We operate across all areas of Nottingham in the city and on the outskirts. 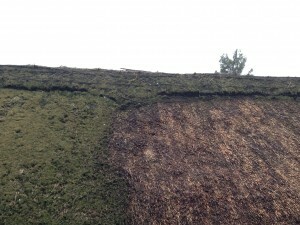 Our Roof Thatchers are qualified professionals in moss removal. Moss and Lichen spread colour across all thatched roofs up all over Nottingham. Moss usually grows in damp and humid areas, and due to the Great British weather during the summer months we experience a lot of rain downfall, and warmer temperatures combined created a humid atmosphere which contributes to moss and lichen growth. If your property is in a shaded area and has limited access to sunlight, you’ll find that it is more prone to getting moss growth after rain and or humid weather. The sunlight naturally dries thatched roofs in both summer and winter months. 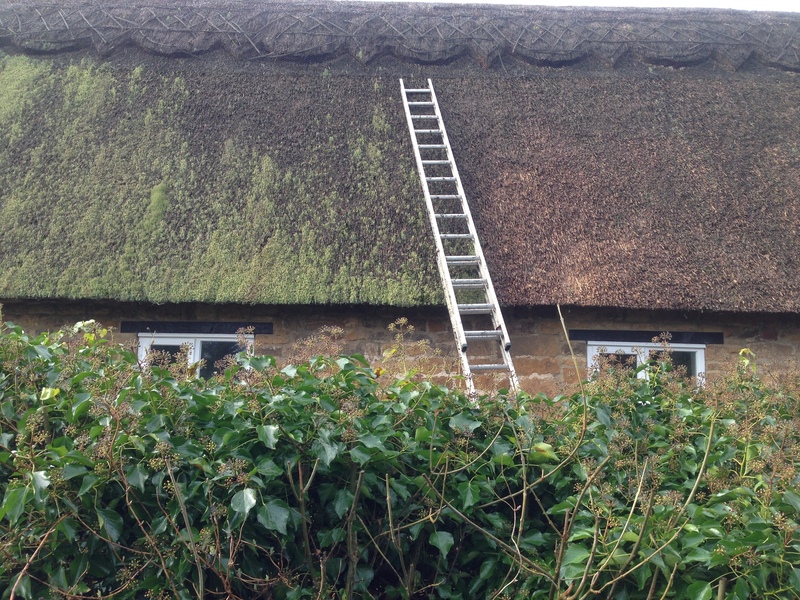 De-mossing on thatched roofs can be easy as moss doesn’t have any roots; however, if you try removing it by yourself you may end up removing damp thatch that lies beneath the moss. By scrapping it off, you might miss little areas which mean the moss will just come back again and again. Also if your fixings are 5 inches, or maybe less, below the top thatch and you are scraping moss off each time it appears, you’ll be getting rid of a small layer of thatch each time, resulting in the need for a full re-thatch. We recommend getting your property inspected when moss appears, and we will give you advice on how to try and prevent mass moss growth. We look at your property in full and come up with the best solution for your property. Even though moss seems easy to remove due to the fact they have no roots, this can damage your thatched roof including the ridge. This will cause the need to re-ridge or even re-thatch to be premature. By coming to us here at Heart of England Master Thatchers, we can look at where the popular areas are and how you might be able to prevent some moss from coming back. In some areas of your thatched roof is covered by trees or higher shelter and blocking sunlight which naturally dries your thatched roof after it rains, when the sunlight has blocked the likelihood of moss growth is higher. 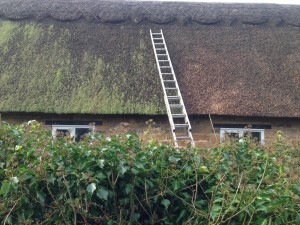 Removing lichen on thatched roofs is a careful process carried out by our qualified Thatchers. 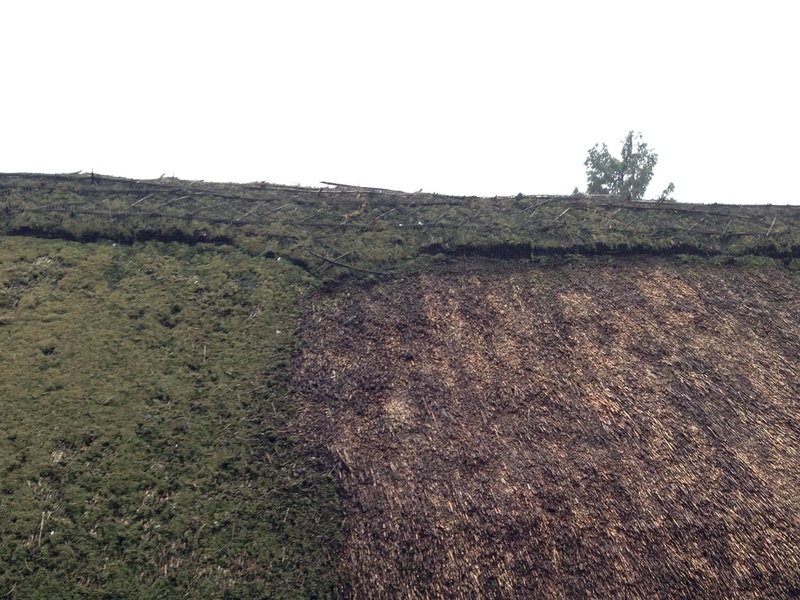 By removing a very thin layer of damp thatch after the moss and lichen removal then it allows the roof to dry out and limit moss re-growth and more importantly preserve your thatched roof. 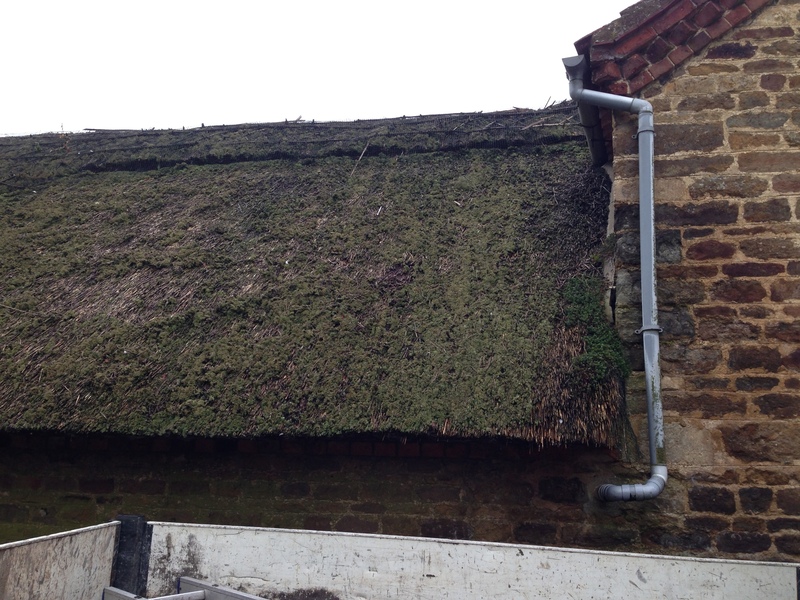 Contact us today if you’d like more information on any of our services, or if you’d like us to come and inspect moss on your thatched roof. We work across Nottingham, Derby and Leicester.